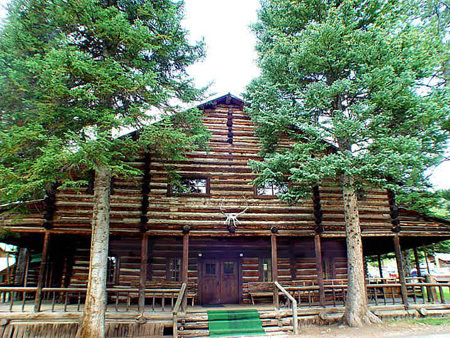 Pahaska Tepee, Buffalo Bill’s spectacular historic lodge, is nestled among the pines just east of Yellowstone at the foot of the majestic Cody Peak. Pahaska is a complete mountain community offering modern cabin-style rooms, a full service bar and restaurant, gift shop, fuel, convenience store, horseback riding (June through August), trout fishing, and cross-country skiing (December through March). Open May 11 through October 7. Pets welcome.